Friends, Sunday’s crowd was a record breaker. Thanks to all who attended, and I’m sorry if you were one of those who could not get in the door. We never want to turn people away, so we have an immediate solution. Beginning this Sunday, February 1, A Simple Faith will move to two morning worship services. We will gather at 8 AM and 10 AM. The early service will be more laid back, less music, a talk from myself, and communion. There will be no children’s church or nursery provided at that time. The 10 AM service will be unchanged except for the bit later start. 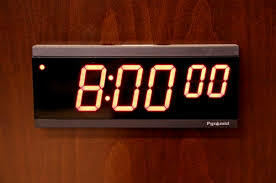 So, if you are an early riser, please come to the 8:00 service. This will ease the seating constraints, allow more people to attend, and most importantly, keep us in compliance with fire and safety standards. Thanks again for your attendance and constant flexibility. See you Sunday – at 8 or 10. What time will Suimple Faith Rosedale meet? I don’t think we need two services just yet. We love and miss you.